Stay up to date on the latest news and resources from Marathon Nation. We update our blog, podcast, and videos weekly, so it’s easy to miss the good stuff. Get free run training resources automatically sent to your inbox. 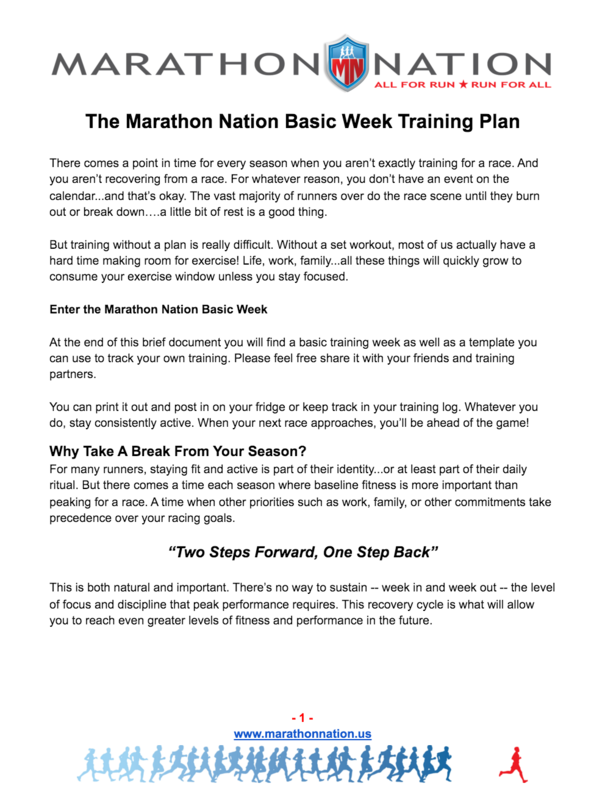 When you sign up today, you’ll immediately be sent a link to our Basic Week PDF! Hear directly from Coach Patrick. Don’t get lost in web searches…learn directly from the source! Become a smarter, faster runner. Get exclusive sales, discounts, and offers on our PDF training plans and other resources. These offers are available only to newsletter subscribers.